While we wholeheartedly agree with FDA on the need for requiring species-specific data on antimicrobials sold or distributed for use in food-producing animals, we do not think that FDA’s proposal—requiring companies to provide a species-specific estimate of the percentage of each new animal drug product containing an antimicrobial active ingredient that was sold or distributed domestically for use in just cattle, swine, chickens, or turkeys—will result in the most accurate data. Rather, the sponsors should be required to report, as accurately as possible, the exact percentages of annual product sales that are sold or distributed domestically for use in both major and minor food-producing species (e.g., not just for cattle, swine, chickens, or turkeys). 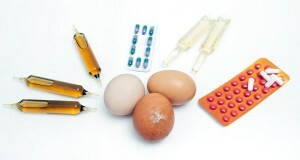 In addition, as explained more fully below, more accurate information on the precise amounts of antimicrobials used in food-producing animal species can be obtained from the annual reporting of data regarding antimicrobial drugs added to animal feed, already being required as part of the recently finalized Veterinary Feed Directive (VFD) rules, by veterinarians and feed mills in a standardized format.